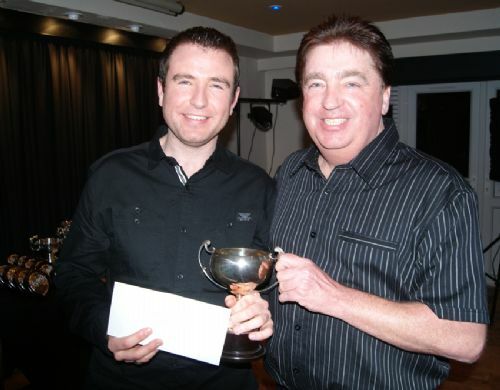 Phill Wrenn presents the Kearns Knock-Out Cup to Neil Williams. 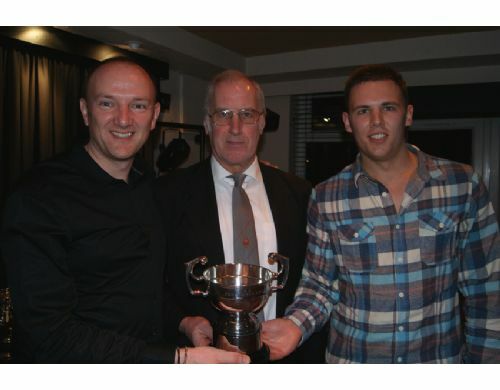 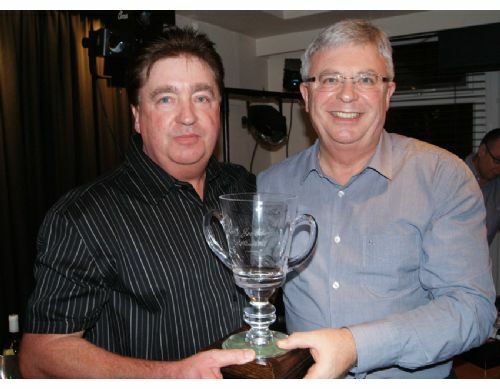 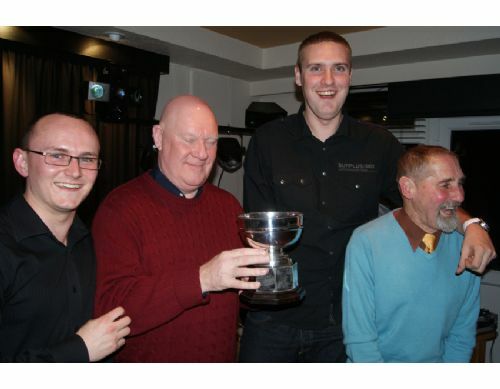 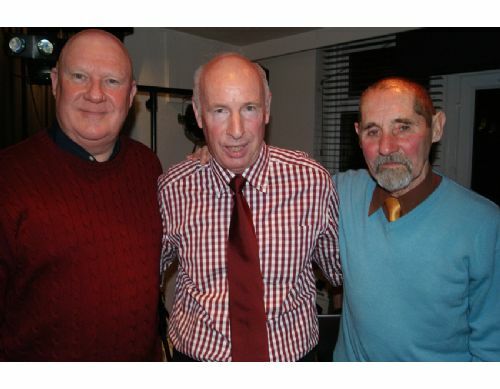 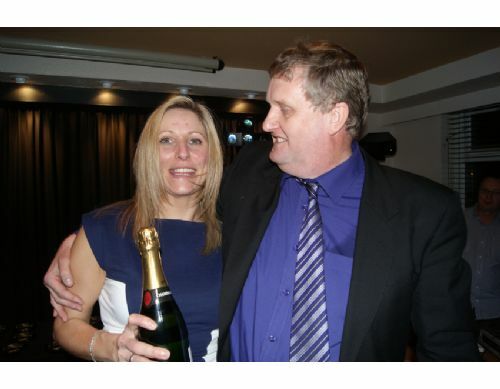 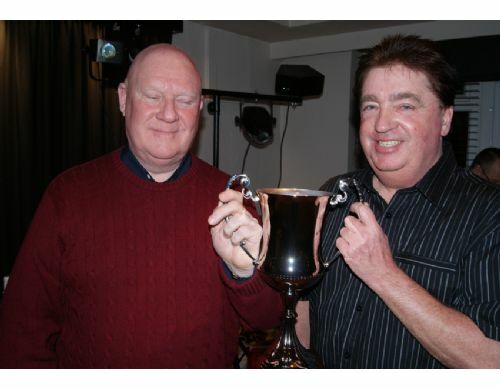 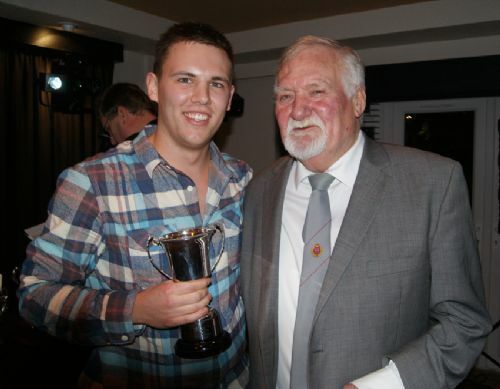 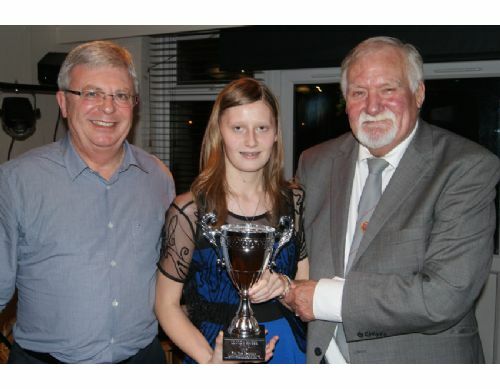 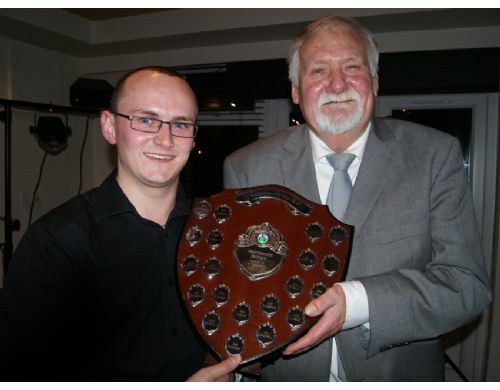 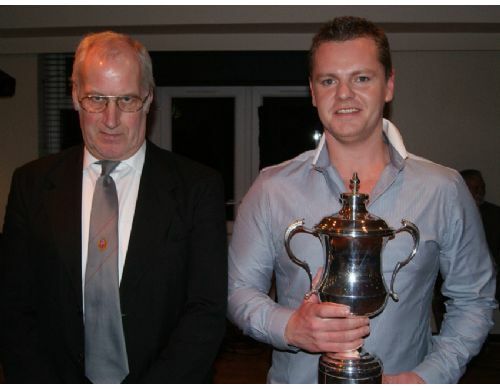 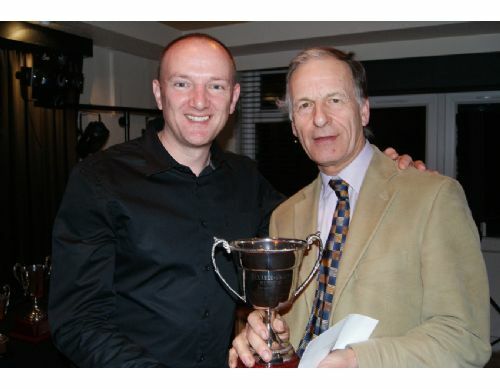 Our season 2011 presentation evening was held at South West Manchester Cricket in Chorlton on Saturday 28th January 2011. 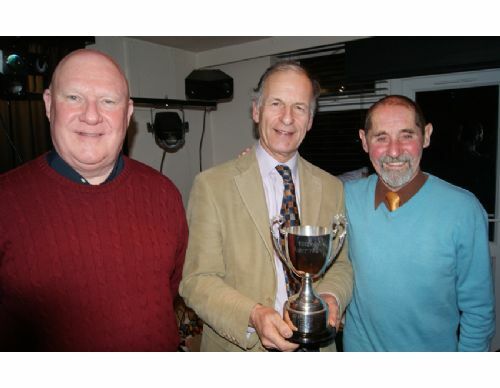 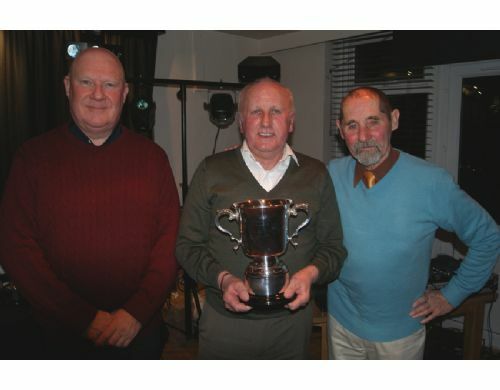 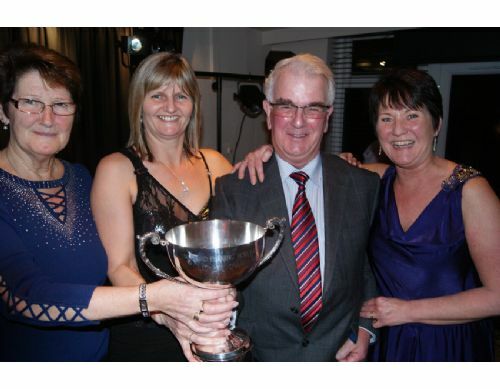 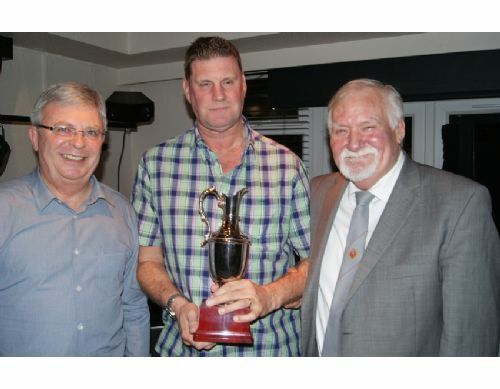 The evening proved to be a fitting climax to what had been another very successful season. 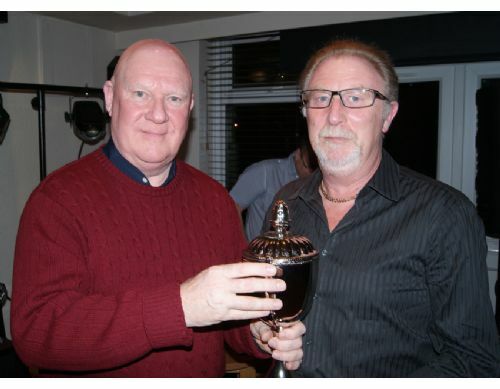 Our club's guests on the evening included the Right Honourable Lord Bradley of Withington and the President of the Cheshire County Bowling Association Mr Stuart Barton. 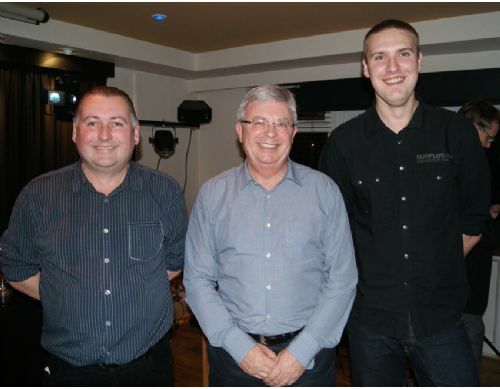 A special mention must go to comedian Tony Roscoe who was superb and really set the standard for the rest of the evening. 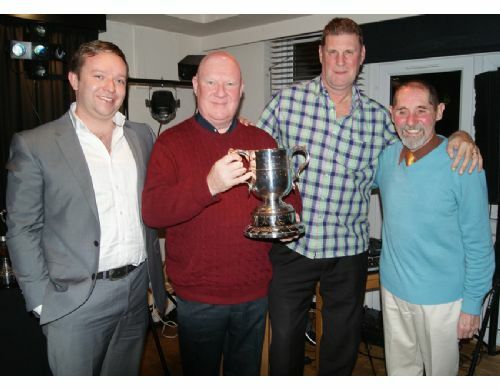 A special “thanks” to all our club competition sponsors Alan Wilkinson, Mike Geraghty, Craig McGuigan, Steve Cook and Steve Ridley for their continued support.